Bike-sharing set to expand in São Paulo, Brazil. Photo by Fora do Eixo. With each passing day, the bike is increasingly becoming part of the urban landscape of São Paulo, Brazil’s largest city. 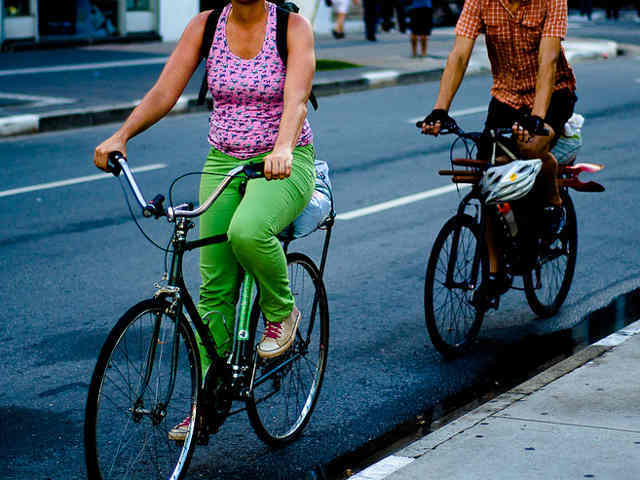 Desiring to more fully integrate bikes as a transport mode – not just recreation – the city of São Paulo is planning a bid for a new bike-sharing system fully integrated with other transport modes and accessible with a unique transport pass, called the Bilhete Único (Unified Ticket), which is accepted throughout the São Paulo transportation system. The idea is to enable people to use the city’s bike lanes as a feeder to the bus and subway systems, thereby eliminating the need for automobiles in the city. According to recent local news report, the city intends to invest heavily and offer a large network of shared bikes. Stations will be installed in all areas of the city, with about 50,000 bikes. The plan is still under review at the city level. Rio’s secretary of transportation, Jilmar Tatto, gave no timeline nor estimated cost for the project, but he confirmed that a proposal had been presented to São Paulo mayor Fernando Haddad. Bike Sampa Bike Station, São Paulo, Brazil. Photo by Bruno Namorato – SM2 Fotografia. São Paulo already has a few bike-sharing systems. 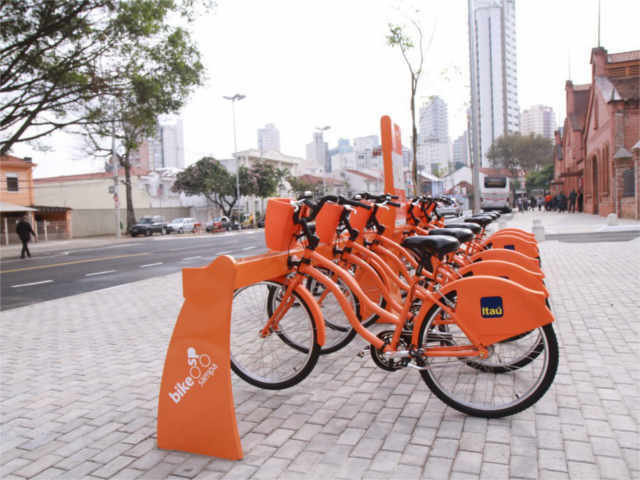 The largest, Bike Sampa, is sponsored by Itaú Bank, with around 1,000 bicycles and 100 stations throughout the city. Cyclists can also find rentals available from the Our Bike system operated by the Parada Vital Institute since 2009. Our Bike offers 240 bikes for rent at 17 subway stations and four bus terminals throughout Rio.